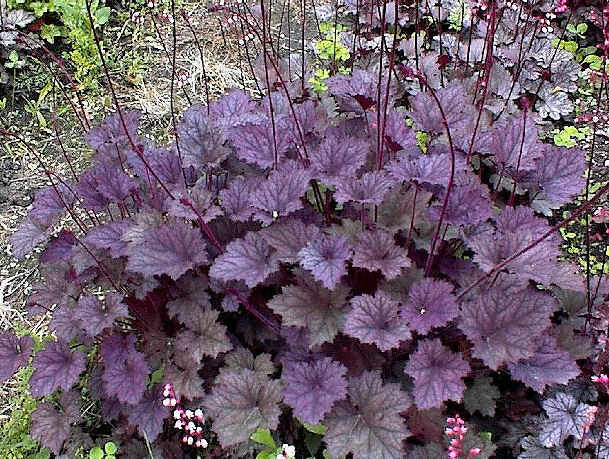 Heuchera 'Frosted Violet' (PP#15,085) combines the vigor and large habit of the H. villosa forms with the leaf silvering of 'Silver Scrolls' and its close relatives. Growth Habit - Similar to that of H. villosa, with an open 12" high X 18" wide mound of leaves about 4" across and arching wands of flowers to about 30". 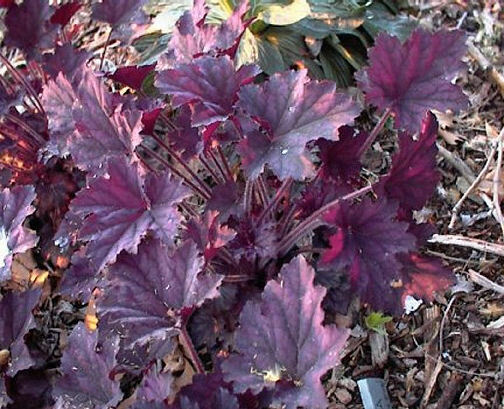 Foliage - In the spring the leaf coloration is a wonderful pink-violet that is quite different from any other Heuchera we have seen. Later in the season there is more blue and silver coloration present, and during winter the leaves turn dark bluish-violet. 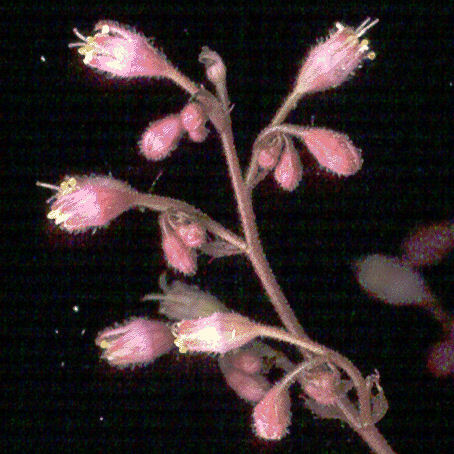 Flowers - The flowers resemble pink seed pearls and are borne on 30" stems from late spring until late summer. Special Features - This cultivar has a unique coloration that is attractive all year and a very long bloom time. 'Frosted Violet' is drought tolerant, as are the various forms of H. villosa, but it should have some shade protection during the hottest part of the day to avoid burning of the foliage.